I sit here stunned. What a glorious book with a perfect ending. I am allergic to bees and thought it would be hard to read this. I was so wrong. 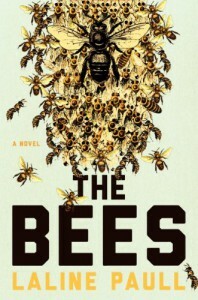 Somehow the author has evoked politics, cultures, and class war in this delightful story of Flora, a worker bee. The author's description of the inside of a hive make me think of Renaissance churches and fairyland castles. This book should be required reading in any school.